EAST LANSING, Mich. (AP) — Every now and then, when the Michigan State football team won’t be together for a little while, it’s a good time for another reminder. 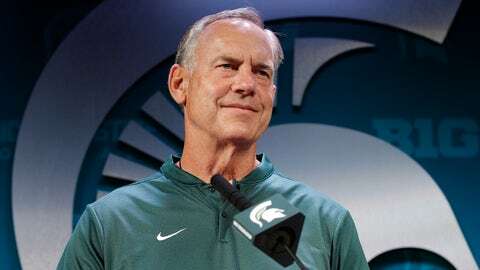 Athletic director Mark Hollis retired , but football coach Mark Dantonio responded by saying he’s always worked with proper authorities when dealing with sexual assault cases. The school gave no indication that it doubts Dantonio, who is entering his 12th season as Michigan State’s coach. University leaders have similarly stuck by basketball coach Tom Izzo. Scott had legal problems of his own last season, though less severe and resolved when he renewed a suspended driver’s license. He received some ridicule and now calls that situation a life lesson. There have been plenty of those for the Spartans in recent years. There will probably be times this season when it feels like business as usual at Michigan State — when the focus is mostly on the field as the team chases its fourth conference title in nine years. But the backdrop of MSU’s problems is still there. That puts everyone under a little extra scrutiny.